There is no easier way to win a game of chess than by luring your opponent into a devious trap. Similarly, there's nothing worse than being the one on the receiving end. Tricks, traps and swindles lie in wait everywhere, especially so in the opening phase of the game, and many battles can be won or saved simply through learning and mastering the most important ones. 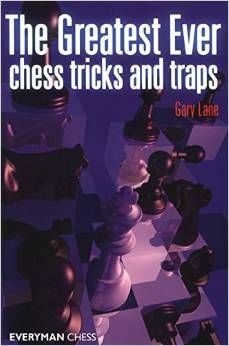 In this instructive and fun book, Gary Lane looks back through chess history and at modern times to create a list of his own favourite tricks and traps. Selecting from hundreds of contenders, Lane examines a variety of factors in order to decide which ideas are most worthy of inclusion. Discover the stories behind the most cunning tricks and traps of all time; how you can utilize them to score easy wins; and how you can avoid being tricked yourself.